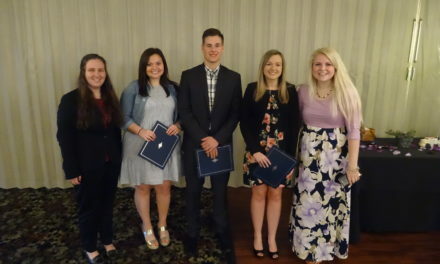 Brookfield Township Historical Commission, Brookfield trustees and members of the Brookfield High School Interact Club and the Hubbard High School Robotics Club decorated the green in Brookfield Center for the holidays on Dec. 1. 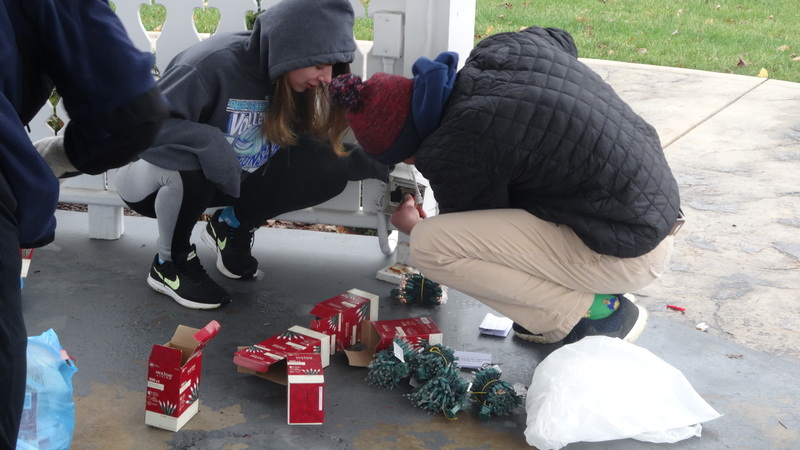 The groups trimmed the Christmas tree in the gazebo, put lights and garland on light poles and prepared luminaria for Santa Claus, who will visit Brookfield Dec. 8 for Santa’s Workshop, a community Christmas event put on by the township and Brookfield United Methodist Church. 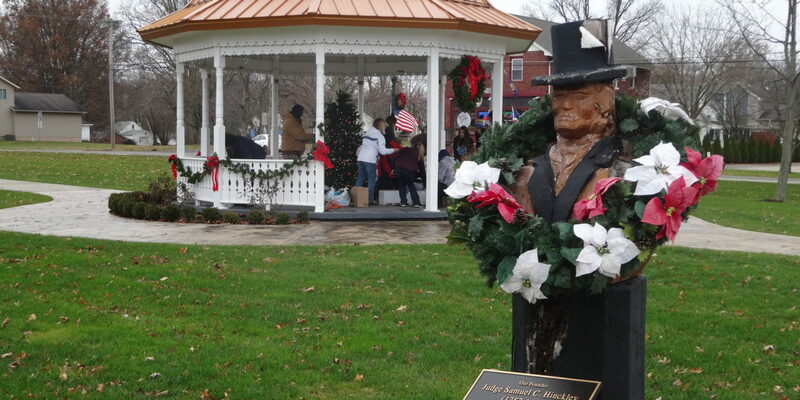 A day earlier, members of the Brookfield road crew attached wreathes to the light poles on the green. 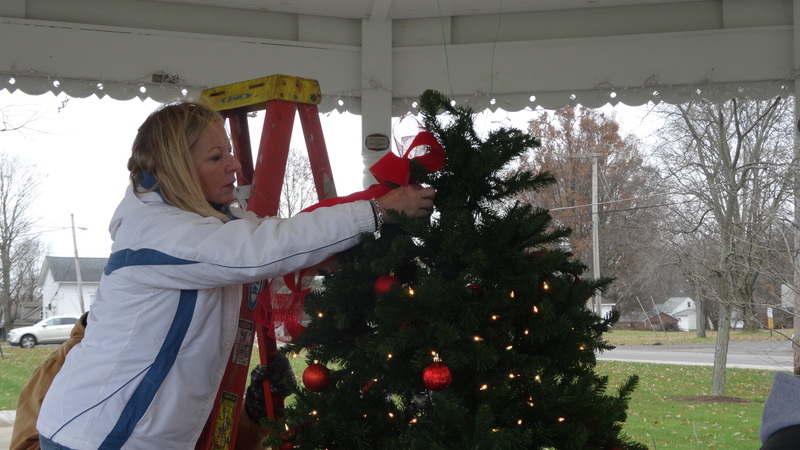 Judy Pushcar pf the Brookfield Township Historical Commission decorates the Christmas tree in the gazebo on the green in Brookfield Center. 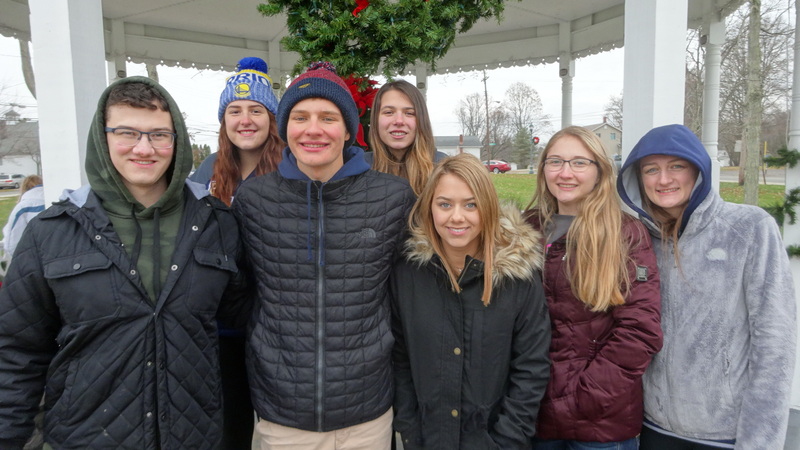 Members of the Brookfield High School Interact Club, shown here, helped members of the Brookfield Township Historical Commission and Brookfield trustees decorate the green in Brookfield Center for the holidays. 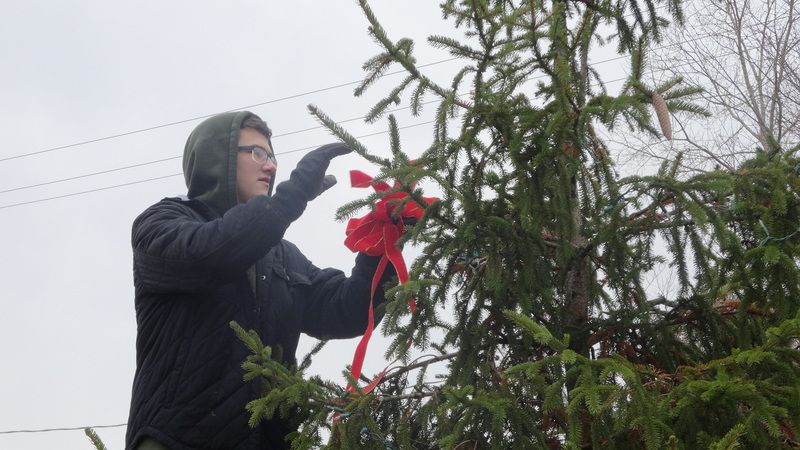 Jarrett Johnson of the Brookfield High School Interact Club affixes bows to a tree on the green in Brookfield Center. 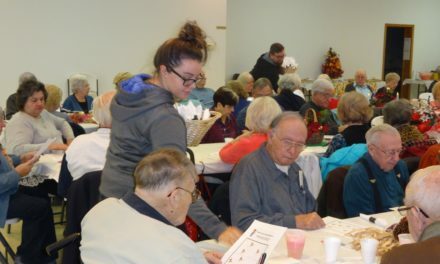 Nikole Husnick and T.J. Kirila of the Brookfield High School Interact Club check whether strings of lights work. 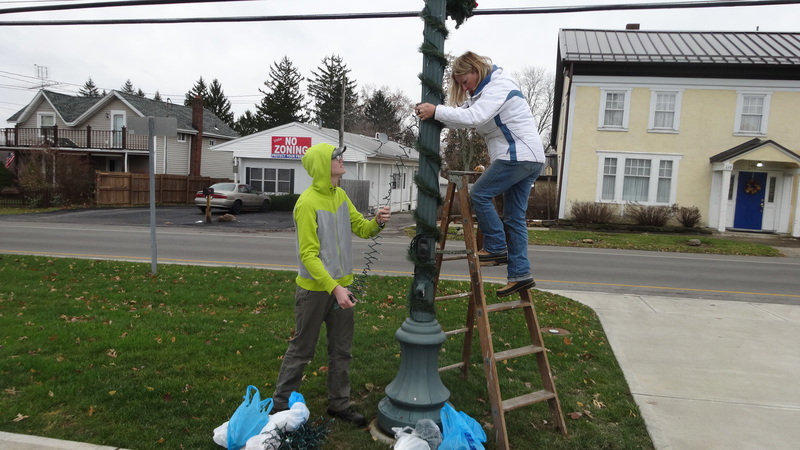 Ethan Karpinski of Hubbard helps Judy Pushcar of the Brookfield Township Historical Commission in wrapping lights and garland around a pole on the green in Brookfield Center.